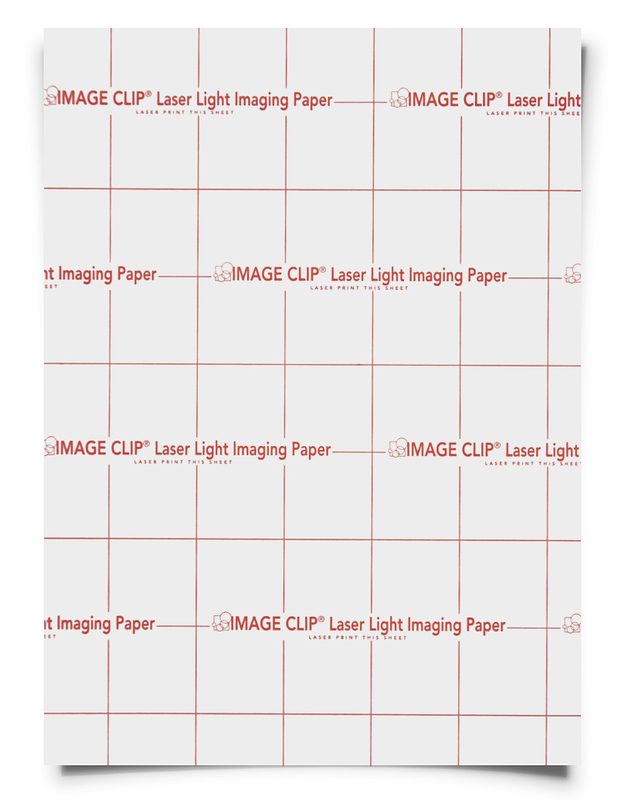 Image Clip Laser Light Heat Transfer Paper for Laser Printers Sample Pack - 8.5" x 11"
Create stunning custom prints onto t-shirts, coasters, koozies, and more items with ImageClip for Lights self-weeding heat transfer paper. 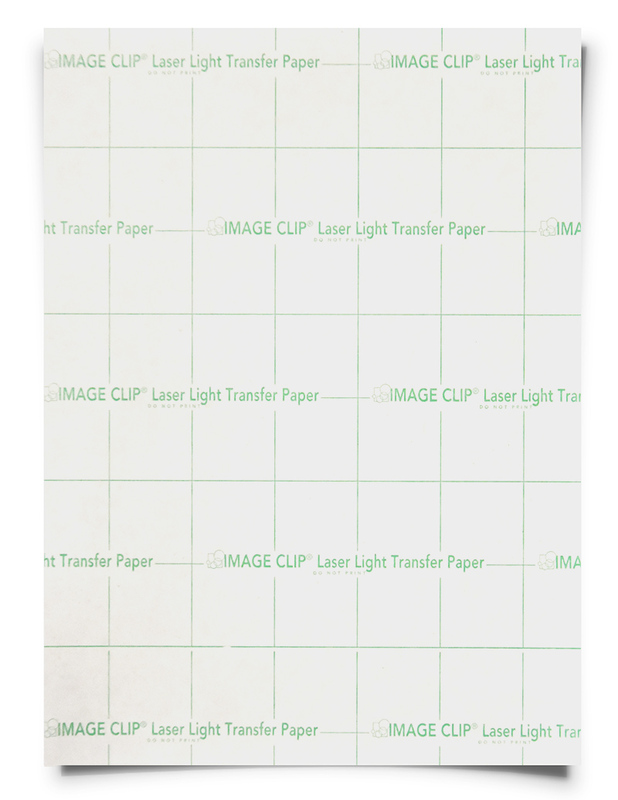 This laser printable paper by Neenah Paper includes a two-sheet set of a printable imaging sheet and non-printable transfer sheet to produce self-weeding transfers with no excessive transfer residue. The self-weeding feature of ImageClip for Lights allows it to transfer a super-soft and lightweight image only where your design is printed -- and the two simple application press steps deliver easy and consistent results, for an overall durable image and print output. ImageClip for Lights laser heat transfer paper also excels in application and durability and works well across a wide range of fabric types and textures. Laser printable heat transfer paper for t-shirts and apparel items - compatible with most standard laser printers. Self-weeding heat transfer paper transfers your image with NO excessive background residue or "feel". Must be applied by heat press application only - cannot be applied with a conventional home iron. Print design on the blank side of the Imagining Sheet (red grid back) paper in REVERSE or in other words, flip it horizontally. This can be done within the design program or printer’s settings (see your printer manual for more information). Prepare heat press to 200-210 F°. Place the printed Imaging sheet (red grid backing) with the printed image face up in the heat press. Place the Transfer sheet (green grid backing) with the blank side face down on the imaging sheet so that the two sheets are facing each other. Press the two sheets for 20-30 seconds with light to medium pressure (do not use heavy pressure). Prepare the heat press at 375 F°. Repress transfer for 10 seconds at the same application temperature, and then lightly stretch in all directions.